Left the house about 8:30, got to trailhead about 9:15. Beautiful day, but a little cool when I first started. First real hike with my new GPS-Garmin Gecko 101. Pretty cool to see elevations and how far I’ve gone. When I get back home, I’ll check the coordinates against the maps I have. Stopped for lunch about 11:30 at 4.6 miles (according to my GPS). 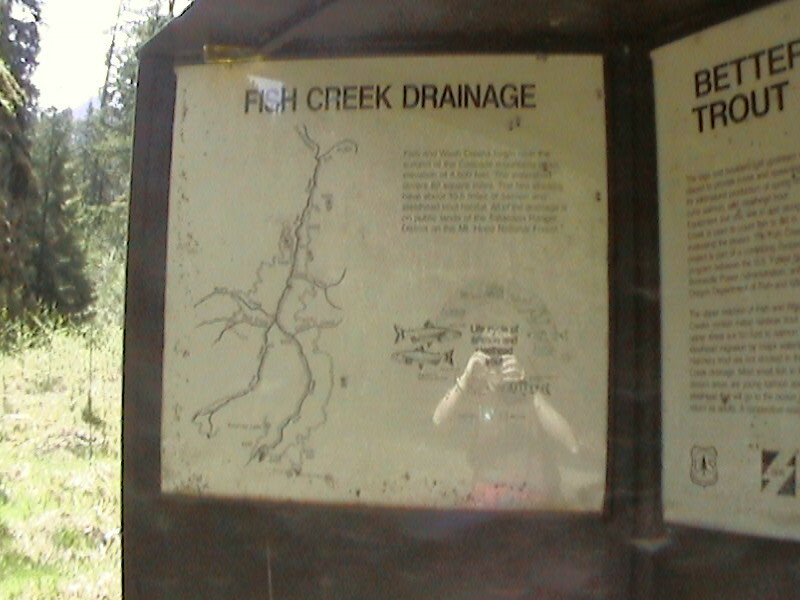 Got to see sign with old roads/trails at 2nd bridge. Took a few pictures, but my camera battery didn’t get charged, and I need to buy more batteries for my camcorder…..